Out of Harm's Way Cross Stitch Pattern to print online. 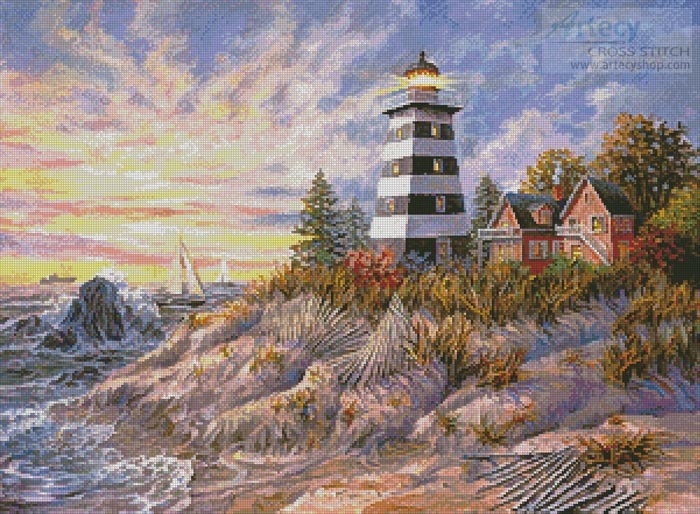 This counted cross stitch pattern of a Lighthouse scene was created from the beautiful artwork of Nicky Boehme. Image copyright of Nicky Boehme/ Art Licensing Int'l.